Do you use Pro Tools? If yes, you cannot keep on living without watching this video. We know you're not quite sure what the Pro Tools I/O setup window does, how it affects your sessions, and we know you are a little bit afraid of it. (We know everything). So, how does it work? What does it do? Is it really useful? In this video, Fab Dupont will answer these questions (and more). 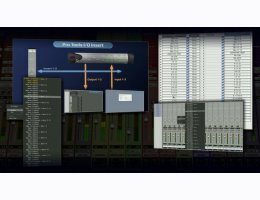 No more excuses for messy sessions, corrupted routing and weird inexplicable bus names, watch this video and become a true Pro Tools I/O Setup expert.